B'nei Mitzvah is an affirmation of Jewish learning, a celebration of community, and recognition of a change in status. After their B'nei Mitzvah, young people at Kol Tzedek are full adult members of the community and, as such, can count in a minyan, join committees, and vote at congregational meetings. Kol Tzedek B'nei Mitzvah are guided by the values of Talmud Torah (sacred learning), Simcha (joyful celebration), and Anavah (humility). 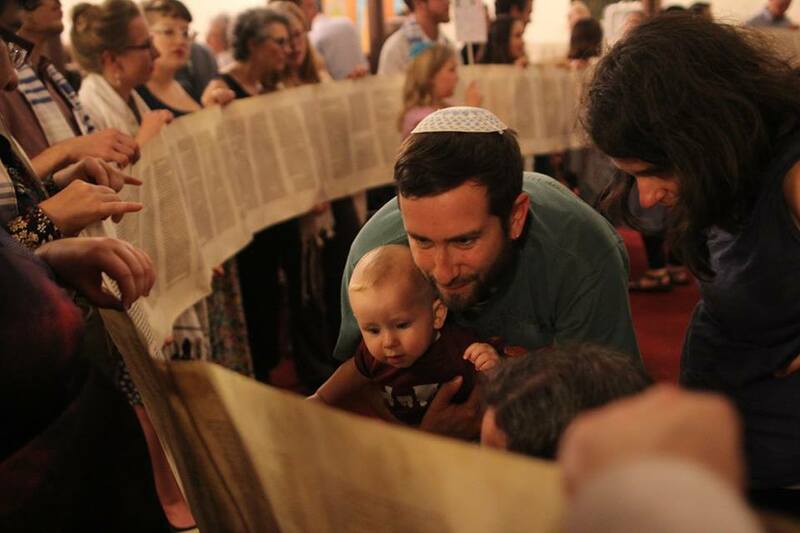 ​Most children in our congregation prepare for and celebrate B'nei Mitzvah in their 13th year. This can be a deeply meaningful and spiritually rich experience for the student, their family, and the entire Kol Tzedek community. At B'nei Mitzvah the community officially welcomes the student into Jewish life as an adult and the B'nei Mitzvah takes responsibility for their Jewish identity. Students engage in serious study and community work as part of this rite of passage, allowing them to be fully immersed in the experience and to feel a sense of accomplishment. "The world stands on three things: Torah, prayer, and acts of lovingkindness." - Pirkei Avot. Our B'nei Mitzvah preparation will engage students in three pillars of Jewish life, Torah, prayer, and acts of kindness. Students will learn Torah, engage with and lead prayer, and complete a Tzedakah project. While we have specific expectations for our students as they approach B'nei Mitzvah, we treat each of our B'nei Mitzvah as an individual and Rabbi Ari Lev and Rabbi Michelle are always happy to customize these expectations. Our B'nei Mitzvah families are members of our community. Children are expected to be enrolled in the Torah School or have other formal Jewish education. For a full list of eligibility requirements, please see page 5 of the B'nei Mitzvah Handbook. *It is our practice to use the Hebrew plural, B'nei Mitzvah, as gender-neutral. We support each family to choose the language that is best for them.